I’m flattered that you included me in your mosaic! Thank you, and thank you for the “love”ly inspiration! your mosaic is so well done ~does it take you a long time? thanks for including my little shot! Such a beautiful collage! These are all definitely inspiring. I am awed by all the images of LOVE! thank you and you’re inspirational too. 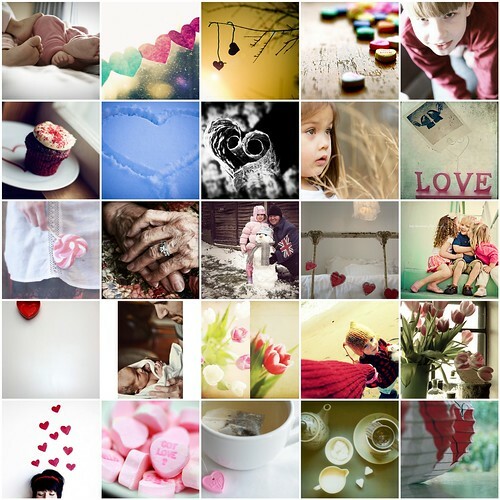 so many pretty and sweet images – some of my very faves too. oh, i LOVE, LOVE all of these!! this time of year brings out some amazing shots!! Thanks girl for including me in this beautiful collage. beautiful collection! thank you so much for including one of mine. your blog is so inspiring! !